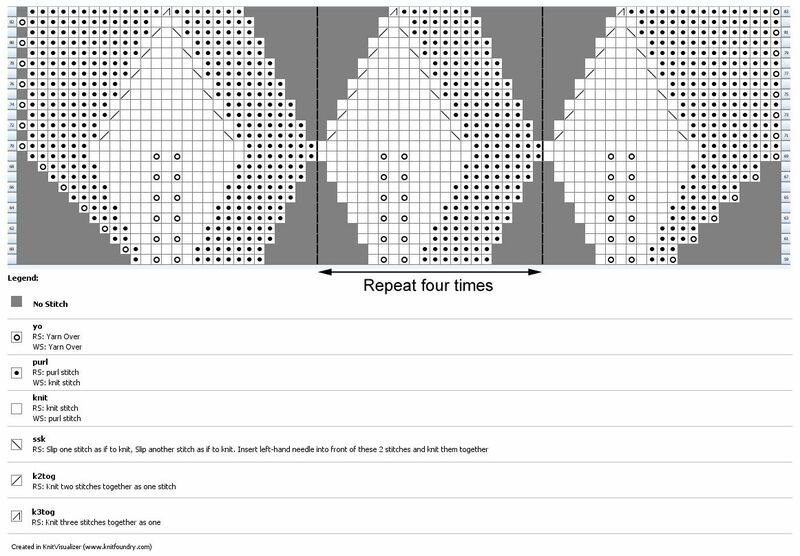 This pattern consists of triangles, four of which crocheted together from a square. Seven squares each way or forty nine squares complete a good sized bedspread. The triangles are crocheted together by sc (UK double crochet) and 1ch after each single crochet. 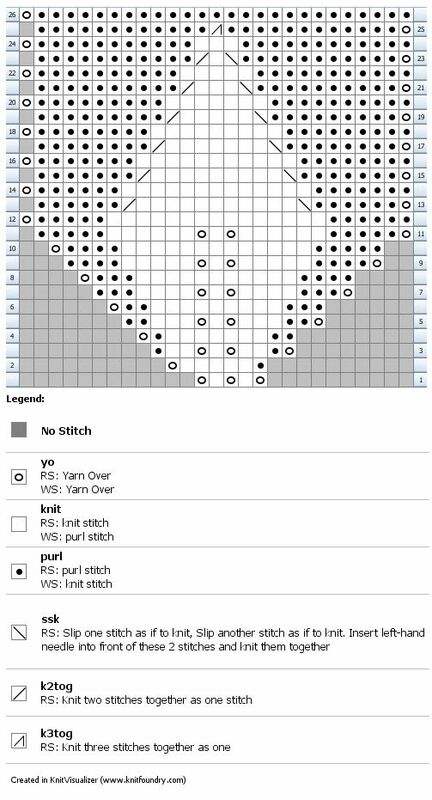 The squares are crocheted together with a sc omitting the chain. The pattern consists of four leaves in the centre in each square. 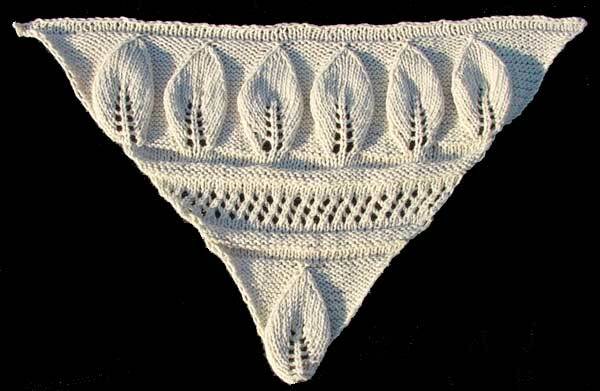 Then there are a few rows of open work and ridges of purl knitting, and the squares are bordered by a row of leaves. No 10 knitting cotton and 3.25mm -3.75mm needles.